It’s a brand new year, and many of us are starting to ponder where we’re going hiking this summer. Perhaps you’re thinking of hiking a portion of the PCT. Perhaps your very first hike on the PCT. In recent weeks, we’ve been getting lots of inquiries about hiking the PCT in Oregon this summer: where to go, when to start, what to expect. Here you will find answers to some of the most frequently asked questions about hiking the PCT thru Oregon. 1. How hard is it to hike the PCT in Oregon? 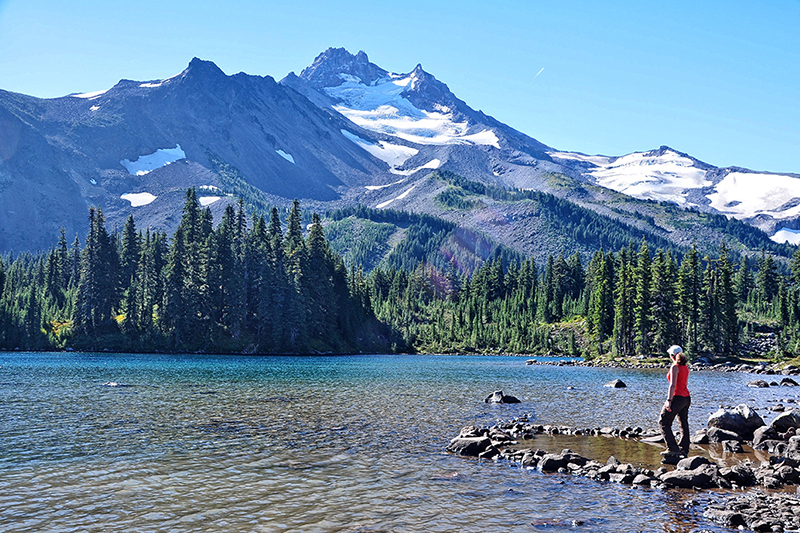 With a little stamina, endurance and conditioning, hiking the PCT in Oregon is not difficult. Most of the terrain along the PCT in Oregon is very mild to moderate—and hiking northbound is the easier direction, with most ascents being quite gradual with few steep sections. Campsites along the trail are fairly plentiful and easy to find, and there are several resorts near the trail for taking breaks, getting burgers and pizza, and resupplying. Some of the challenges in Oregon are finding water (see below), as there are a few long, dry stretches of trail, and many springs and creeks start to diminish by midsummer. This may require a little extra planning in order to help keep your water bottles full. Recent wildfires in Oregon have also done significant damage to the PCT in some areas, which may require scrambing over or around downed trees or snags, or doing a little route-finding where the trail may be hard to find. 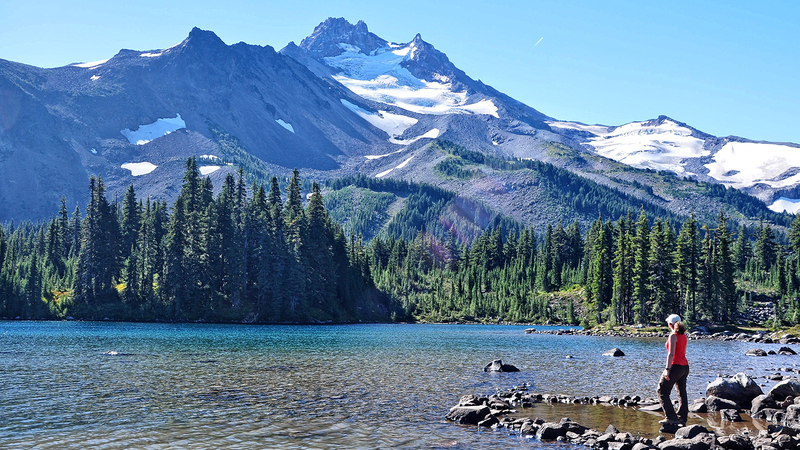 Otherwise, hiking thru Oregon is quite comfortable, with lots of shady forest, sparkling lakes and stunning volcanic peaks. 2. What permits do I need for hiking in Oregon? You do not need any permits for hiking the PCT thru Oregon, either in whole or in sections. Oregon’s portion of the PCT is 455 miles, so does not qualify for, or require, obtaining a long-distance hiking permit from PCTA. There are, however, a few specific areas that require a permit for backcountry camping. These are Crater Lake NP, the Obsidian LEA (Limited Entry Area) in the Three Sisters Wilderness, and the Shale/Pamelia Lake LEA in the Mt. Jefferson Wilderness. Crater Lake permits can be obtained in person at a visitor center upon entering the park. LEA permits can be obtained at recreation.gov. You only need these permits for camping in these areas. You do not need a permit to pass thru. Note: Long-distance permits (hiking 500+ miles) grant you backcountry camping permission in Crater Lake NP, but not in the LEA areas. There may be a significant permit change coming for some of Oregon’s wilderness areas in 2020. We will post news on this as it comes in. For more information, see our Permits Page. 3. When can I hike the PCT in Oregon? 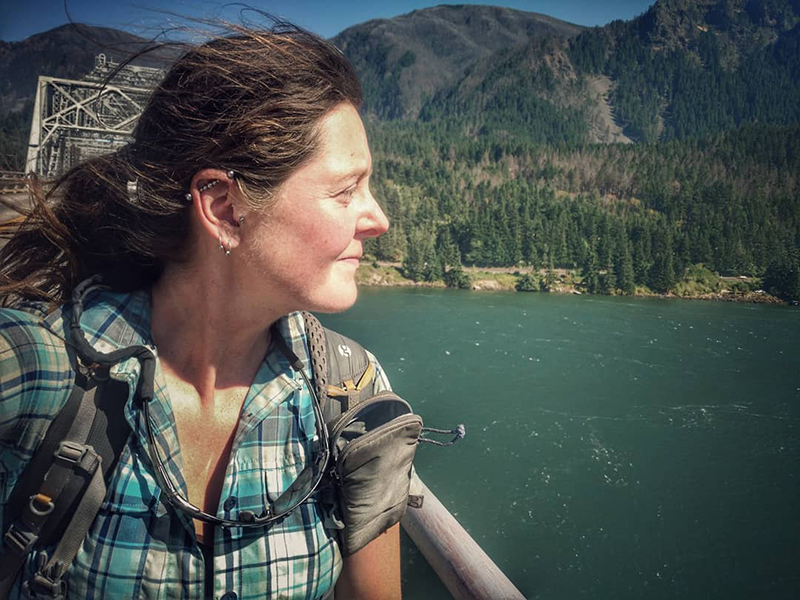 Oregon’s PCT hiking season typically lasts from July to October. This is when the trail is generally clear of snow and the weather is mostly favorable. In recent years however, we have gotten hiking seasons that start as early as May, and others that haven’t started until August. This is highly dependent on the winter snowpack and the following spring weather. As such, we can’t really start guestimating when the season will start until well into spring—and then we keep our fingers crossed that Oregon’s Cascades don’t get any late spring snowstorms. Other factors to consider are mosquitoes and water. Early in the hiking season both mosquitoes and water are abundant, and wildflowers are usually at their peak. All of these start diminishing as summer progresses. Midsummer can get quite warm, and is when most thru-hikers are crossing Oregon, so trail traffic is usually heavier and popular camp locations more crowded. With good planning, late summer and early fall can be nice for PCT hiking in Oregon, as the crowds have passed and temps are cooler. Then it’s just up to you to weigh the pros and cons about when to go. 4. I want to hike ___ miles. Where should I go? @50 Miles: Section 4A: Willamette Pass to Elk Lake is 46 miles that skirts the Waldo Lake Wilderness and crosses the southern Three Sisters Wilderness. Section 6: Timberline Lodge to Cascade Locks is 50 miles that circuits Mt. Hood and crosses the Hatfield Wilderness. Section 3: Cascade Crest to Willamette Pass is 60 miles that crosses the Mt. Thielsen and Diamond Peak wilderness areas. @100 Miles: Section 4: Willamette Pass to Santiam Pass is 93 miles that skirts the Waldo Lake Wilderness and crosses the entire Three Sisters and Mt. Washington wilderness areas. Section 5: Santiam Pass to Timothy Lake is 96 miles that crosses the Mt. Jefferson Wilderness and Warm Springs Indian Reservation and ends on Mt. Hood. @150+ Miles: Sections 1–2: Donomore Pass to Cascade Crest is 151 miles that crosses the Cascade–Siskiyou NM, Sky Lakes Wilderness and Crater Lake NP. Sections 3–4: Cascade Crest to Santiam Pass is 154 miles that crosses the Mt. Thielsen, Diamond Peak, Three Sisters and Mt. Washington wilderness areas. Find more information about all of Oregon’s PCT sections in the guidebook, Hiking the PCT: Oregon, then customize a hiking plan that’s suitable for you. 5. Where can I camp on the PCT? 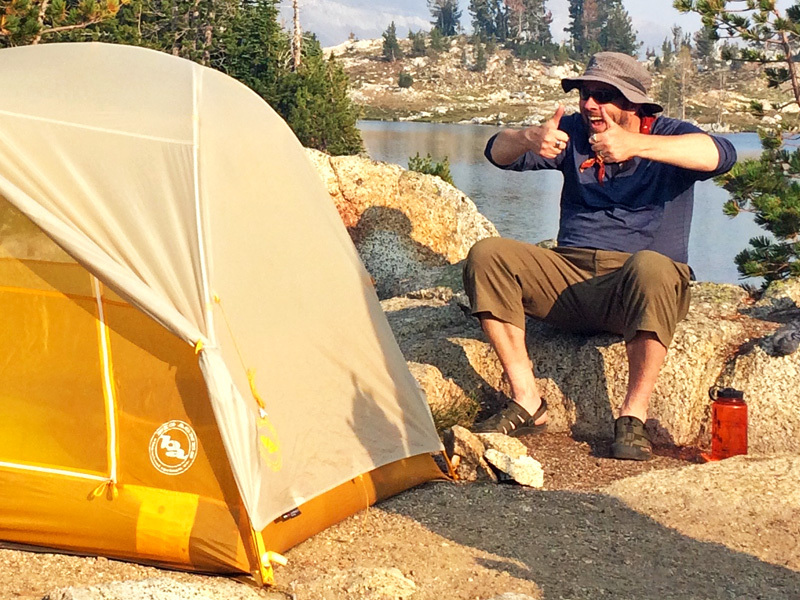 With a few exceptions, and following a few guidelines, you can camp anywhere you find a flat spot along the PCT. Popular locations, such as trailheads, water sources and viewpoints often have campsites nearby. In addition, there are several developed campgrounds on or near the PCT for convenient camping. A few areas require special camping permits (as noted above), and a few short stretches cross private property (e.g., near Mt. Ashland) where camping is not permitted. It is best to use already impacted campsites that adhere to Leave No Trace (LNT) practices. There are many other primitive campsites along the trail that may not adhere to LNT, and it’s up to your own judgment whether to use or not to use these. For more info on PCT camping, visit our Camping Page. 6. Where can I find water on the PCT? Acquiring fresh water on the PCT in Oregon can be challenging in some areas, particularly in the southern regions. This may require you to detour off the PCT to local lakes, streams or springs. These water sources can range from a few hundred yards up to a mile off the trail. Many of these water sources make good places to camp. There are a few extra-long waterless stretches of PCT—up to 24 miles!—where you should carry extra water, especially if you plan to dry camp in between. In some of these long stretches, local volunteer groups may maintain water caches for PCT hikers—but you should not depend on these! These caches often run out during peak season. Also, many of the small springs on or near the PCT are seasonal at best, and may run dry later in the summer. Check the PCT Water Report before you head out to see if there might be any issues. 7. What kind of gear do I need to hike the PCT? In a nutshell, you need everything necessary to keep you warm, safe, comfortable and fed for however long you plan to be on trail. Start with the Ten Essentials. These are a selection of items every hiker should carry for personal safety in the wilderness. 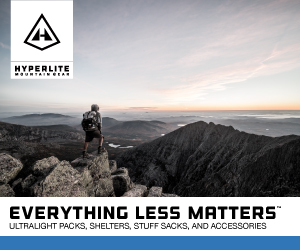 This includes a water filtration system, first aid kit, rain gear, light source, etc. Next, a good pair of hiking footwear (and socks) that can handle a variety of terrain, including dirt, rock, lava, mud and perhaps snow. A sturdy shelter and a good sleep system (bag and pad) are also recommended, as good sleep ensures good hiking. You should plan to carry enough food for every day you’re on the trail—plus a little more, just in case of an unplanned delay. A few creature comforts—such as treats or small personal items—can add to your enjoyment, and serve as rewards or pick-me-ups on the difficult days. And finally, a comfortable backpack to carry it all in. You should test all of your gear and get acquainted with it before you get on the trail. 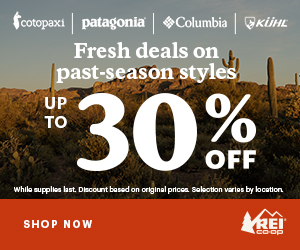 Check out our Gear Shop for some of our favorite trail-tested PCT gear. 8. Who can help me with my PCT hike? Hiking the PCT, whether in part or in whole, is a personal journey. It is entirely your responsibility to ensure that you have a ride to your starting point, someone to pick you up at your ending point, and all the logistics in between (resupplies, camping, lodging, etc.) planned ahead of time. 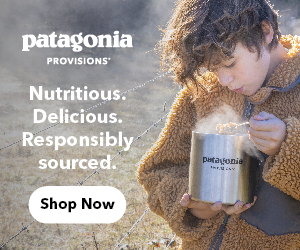 If you decide to wing it and hit the trail with no plans in place, you may have difficulty purchasing stove fuel, finding a campsite, or getting a ride from the trail into town. 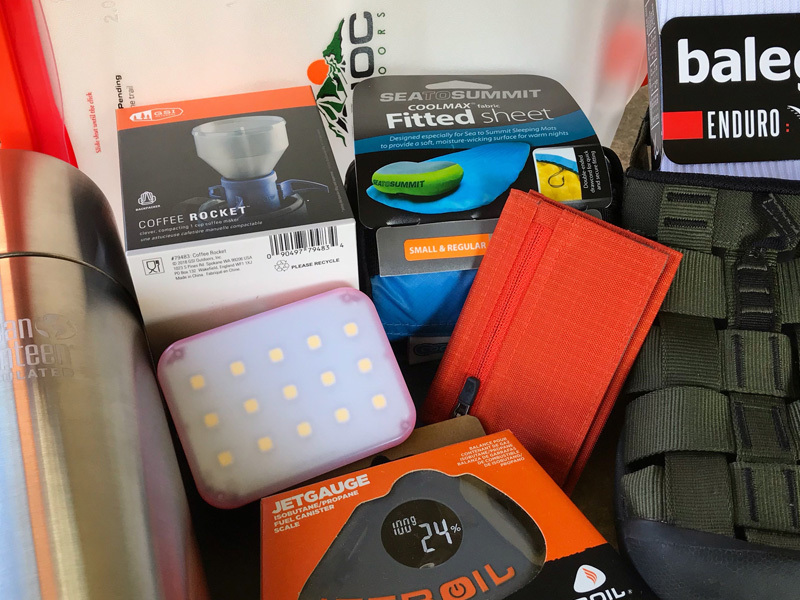 Stores near the trail often run out of popular supplies during the busy summer travel season, and campgrounds and lodges often get reserved far in advance. And even though hitchhiking is legal in Oregon, many people are hesitant to pick up dirty backpackers hanging out on the side of the highway. That said, there are a handful of nice people who like to assist PCT hikers. These are called Trail Angels, and they often assist with transportation on and off the trail, and sometimes offer meals or accommodations to hikers in need. There are numerous Angels here in Oregon. You can find some of them in our Directory. When accepting the services of an Angel, always be courteous and thankful for their assistance, respect their vehicles and property, and follow any rules they may have. Many Angels provide their assistance free of charge, but for those who do ask for a fee or donation, be sure to pay them appropriately. Also, keep in mind that many Trail Angels also like to hike, so they may not always be available. If you know you may require assistance from an Angel, it is best to contact them as far in advance as possible. 9. Are there any ongoing trail closures? As of late 2018, the entire PCT in Oregon was open and hikeable. A few areas that were damaged by wildfires the previous year had delayed openings so trail crews could get in and clear the way and remove hazards. Not all of the work was completed by the end of the season, so some obstructions may still be around. It is also likely that there may be new obstructions appear, as winter storms and spring snowmelt often brings new damage. If planning to hike early in the season, be prepared for some scrambling. The Woodpecker Trail in the Mt. Jefferson Wilderness and the Eagle Creek Trail in the Columbia River Gorge remain closed due to extensive fire damage. 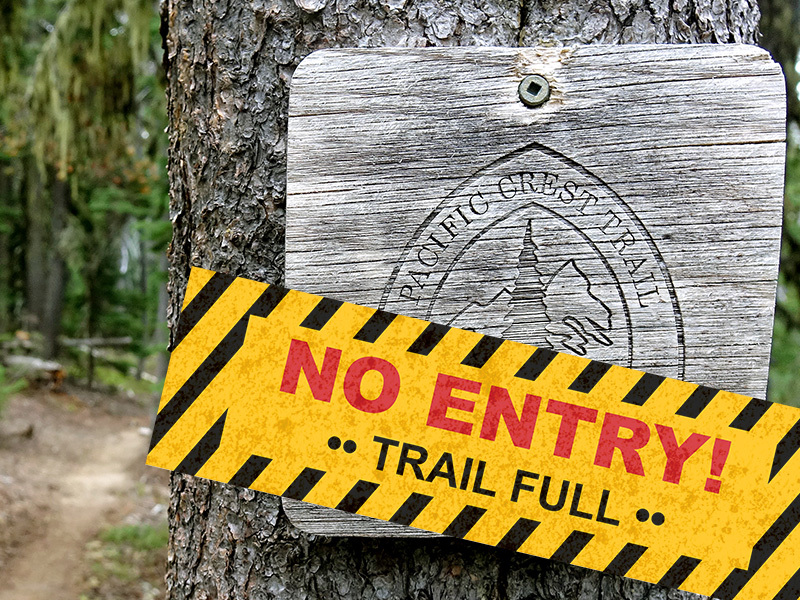 The Stuart Falls Trail connecting the Sky Lakes Wilderness and Crater Lake NP was closed last year; its current status unknown. Once the hiking season gets under way, you can visit our Conditions Page for the latest trail updates and information. 10. What is your advice for first-time PCT hikers? You do not need to be anxious about hiking the PCT in Oregon. It is a very approachable hike. That said, you should choose your PCT hike for the hiker you are, not the hiker you want to be. Review the mileage and elevation gain/loss of the section(s) you want to hike and build an itinerary that falls within your current ability. Once you get on the trail and find your comfort zone, you can adjust as necessary. Get acquainted with your gear and trail menu, and make sure you’re comfortable with your selections. Practice setting up your tent in case you need to do it quickly in a storm. Break in your boots, test your rain gear for leaks and make sure you have the correct stove fuel. Sample your trail menu at home before committing to food you may not like when it’s the only thing you may have to eat for days—or weeks! Know before you go! Before heading for the trail, check the latest weather, water, trail and fire conditions. You can find links and seasonal updates for most of these topics on our Conditions Page. Being properly prepared means you’re ready to handle a variety of situations on trail, but you should not put yourself—or others!—at risk. If in doubt, bow out, and consider an alternative hiking plan. Leave a question below and we’ll be happy to assist. Or, send us an email. Happy hiking! Is the news and info on PCT: Oregon a valuable resource for you? We maintain this site as a completely free resource for Pacific Crest Trail hikers in the state of Oregon, however it takes considerable time and expense to keep it up and running. Please consider making a small donation to help offset our operating costs, such as web hosting, development and maintenance. Just click our Patreon link.